February 22nd in Wordpress Plugins, Wordpress Tips by Wordpress Jedi . 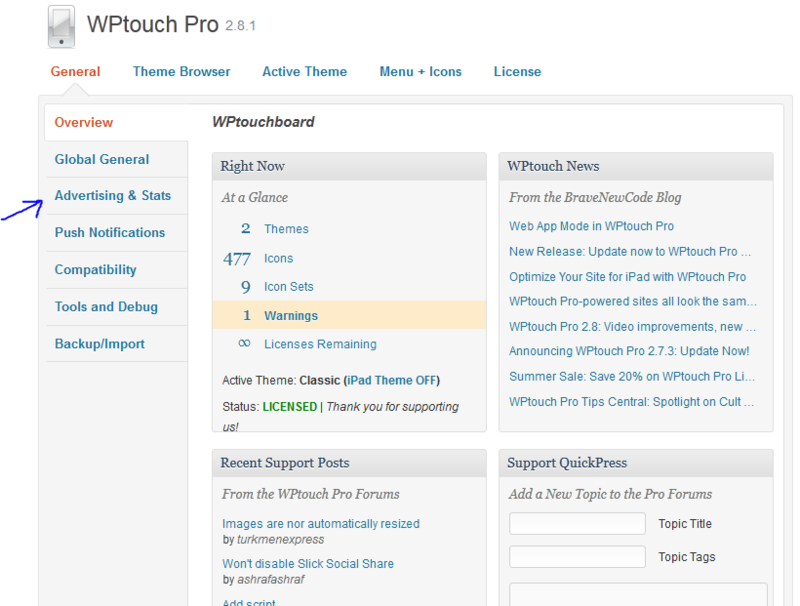 WPtouch Pro is one of the best mobile WordPress plugins around. It makes your WordPress website iPhone and iPad friendly. The script has been around for quite some time and has gone through many updates. I have been using the 2.6.3 version since it was released but WPtouch has moved on since then. It is even more powerful now and works better on iPhones/iPads and other mobile devices. Adding mobile AdSense code to WPtouch could increase your revenue a bit, especially if your site is well-established and already gets a considerable amount of traffic every day. 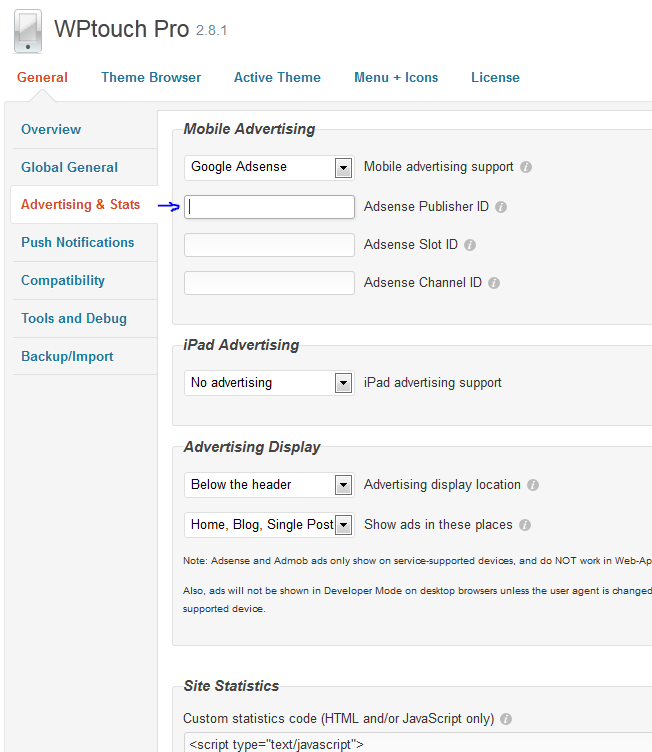 The process of adding the AdSense code to WPtouch is very simple but has changed since the introduction of WPtouch 2.7. To get started, you should log on to your WordPress site, open up WPtouch Pro’s settings page and add your Publisher and Site IDs there. How do you get your IDs? Your Publisher ID is easily accessible through AdSense’s Dashboard. 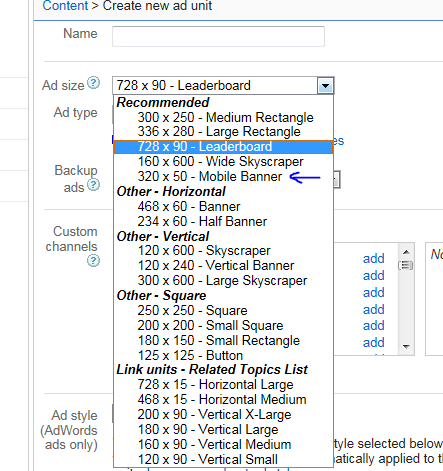 To get the Slot ID, you should log on to your account, add a new ad unit, and pick “320×50 mobile banner” as your ad type. Once you save your new ad unit, Google is going to provide you with the appropriate Slot ID to feed to WPtouch. The process takes about 5 minutes and is very straight forward. You don’t necessarily have to use mobile AdSense units to monetize your mobile traffic but they are worth testing. Just make sure you choose the right ad type.